Recently, I noticed a lot of splashing in a tideline off Telegraph Cove, BC. I share my observations with you via the little video clip at the link below. You’ll note that it looks like big rain drops are hitting the water. 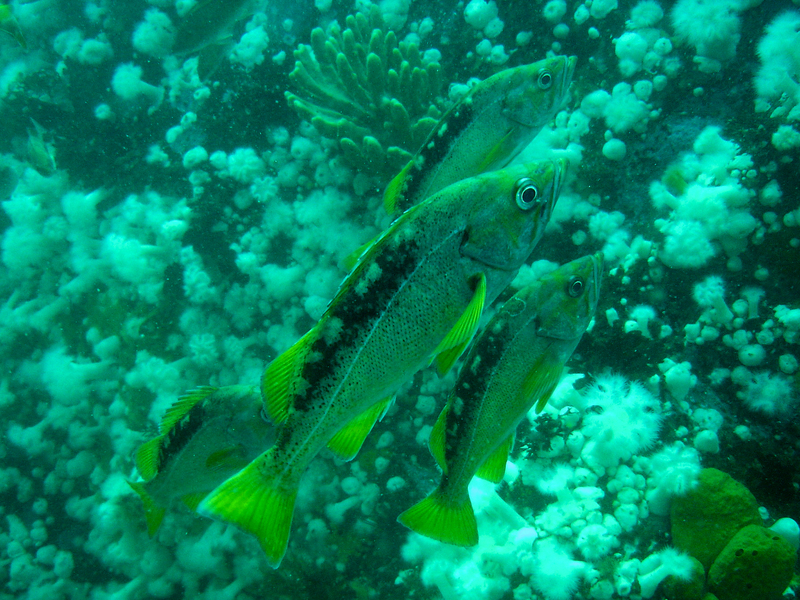 I discovered that what was creating the splashing were juvenile yellow-tail rockfish feeding on zooplankton. The zooplankton, including a small species of krill, had been concentrated at the surface by the big tidal exchange. There had been almost a 4 metre exchange between high and low tide (more than 12 feet). I also discovered a very unique larval fish in the tideline that day but will share that discovery in a future “The Marine Detective”. Click here for the video of the yellow-tail rockfish feeding in the tideline. so very cool, they are beautiful fish.Charli enjoyed your video too. I miss your narration though! Jacqui always beats me to comments! I miss the narration as well. There is alwasy something kinda funny about little fish plopping on the surface. Hello George! It means a great deal that my father would have forwarded these links to you and that you are enjoying them. Thank you! Jacqui, you’re welcome anytime! I still remember that as one of the funnest, funniest trips ever. And thanks for the plug! I promise you that I will go out with you in the future Gillian. So love all you stand for. They are already really descriptive good names and it is wonderful that you were able to narrow down all the good choices. We were so lucky Taylor and live is such an amazing place!